They say we are the sum of our memories, shaping our lives to be who we think we are. But what if our memory suddenly exits into a black hole and everything about an event, even days we’ve lived, become irretrievable for years—maybe even forever? Such an amnesic state would make sense if one was perhaps doing excessive drugs, alcohol, suffered a brain injury and/or a blackout event. 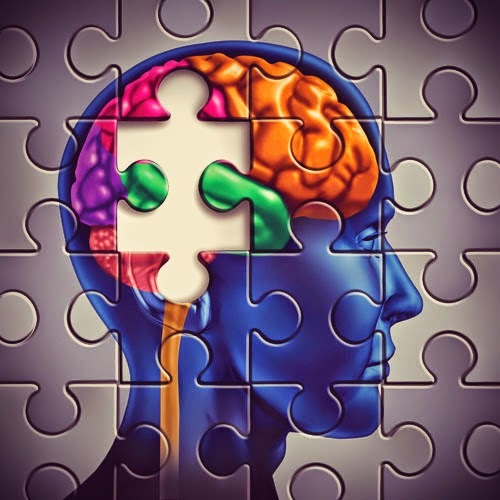 In the case of Transient Global Amnesia (TGA), none of these factors are the case. One minute you’re a coherent fully functioning human being, then the next minute, without warning, you can’t remember much of anything you were just doing. In 2003, this happened to my older sister upon the death of our father. Even with my clinical psychology background, and a specialty in both Dissociative Identify Disorder and Neurofeedback, I had never once come across a client with a TGA history. I certainly knew about amnesia, but TGA was not written about in any of the clinical textbooks I studied. It’s rare. So I wasn’t prepared with how to deal with it the day we buried my father. I thought I had misheard her. “What?” I asked. “Who died?” she insisted, clearly puzzled. She shook her head, in disbelief. “How did he die?” she demanded. I told her. A fall to the head at the family’s Wisconsin vacation home, then being airlifted to a Milwaukee Hospital for tests, where he unexpectedly died of a brain aneurism in his sleep at the age of 82. Everyone in the limousine quietly witnessed our bizarre exchange. Years of clinical training finally kicked in. I asked her what her name was. She looked at me indignantly, like I had lost my mind asking such a ridiculous question. “I know what my name is!” she protested. I prompted her to tell me anyway, just to make sure. She answered correctly. “Okay. What year is it?” I followed with. “It’s 2001,” she answered, clearly two years off. I had a sick feeling inside. “Who is the President of the United States?” Her answer: “Bill Clinton.” At hearing this, her husband turned around in the front seat and looked at her aghast. In fact, so did everyone else. George W. Bush was then president. Something was seriously wrong. My cousin, from New York, turned to me at that point and offered her prescription Ativan, an anti-anxiety benzodiazepine. I had no idea she was even taking such medications. I waved away the suggestion, knowing it could possibly make the situation worse. Just as we pulled up to the church, my sister turned to me and again asked, “Who died?” She had forgotten again? I hurriedly told her, seeing the distress happen a second time at hearing the news. While a crowd stood outside the church waiting for the immediate family to exit the lead car, no one inside the limousine was able to move. What to do? My mother never said a word. She had her own grief to deal with. I was on my own to deal with my sister. I pulled her out of the limousine and remember hauling her against a tree trunk hoping that somehow it would miraculously ground her memory to reality. I whispered in her ear something totally untherapeutic. “Snap out of it now! For Mom!” I hissed, hoping no one could hear. She nodded and quietly walked with me into the church behind my father’s casket. The family looked relieved. I sat next to my sister in the front row, silently watching the priest bless the casket. Then on some mysterious cue, my sister turned to me, and like a bad Abbott and Costello skit, once again voiced that terrible question, “Who died?” I tried to put off the inevitable by saying, “Sshh. I’ll tell you later,” but she was not to be deterred and insisted on knowing. Throughout the day everyone in the family moved away from her, so as not to be caught in the net of continuous explanation. My sister’s memory continued to loop approximately every 15-20 minutes. And always the same question: “Who died?” Then followed by the inevitable same shock and grief. If memory shutdown is supposed to protect you from a traumatic emotional event, this was a cruel trick being traumatized over and over again each time she heard news of our father’s death. At the cemetery, the priest allowed everyone to share a special memory about my father. As we went around the group, my sister got up and spoke quite eloquently and confidently. I breathed a sigh of relief, thinking she had finally solidified the memory, until I remembered that my sister had a fear of public speaking. Her old self would have been turning red, possibly even stumbling for words. This TGA memory looping had somehow blocked her fear of group speaking. Before we left the cemetery, she was again back to asking, “Who died?” She would not stop until we put her to bed upon arriving home. Sleep finally stopped the looping, but she would never again remember the events of that day. Even now, more than 12 years later, her memory is only of what she was told happened. So just where did her memories go? I asked her what she last remembered of that day. She told me she was kneeling at the casket in the funeral chapel, saying her goodbyes to our father, when she suddenly felt an “overwhelming wave” come over and engulf her. It caused her to become a virtual blank slate, despite the fact she was able to still physically function—even carry on engaging conversations with people she knew. This was clearly outside the normal “auto-pilot” mode many experience to get through the death of a loved one. While it had some similarities to Dissociative Identity Disorder, my sister had not created an alter personality to cope with the trauma, and she knew who she was and everyone else around her. 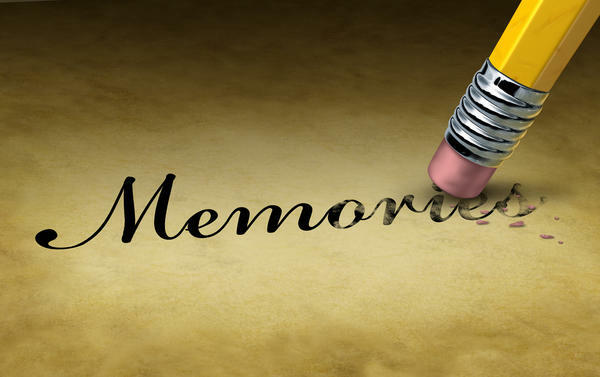 Memory loss was confined to a specific span of time and any other events which took place in the world during that time. Very selective memory. Using SPECT imaging, physicians at the Departments of Neurology and Nuclear Medicine, University of Freiburg in Germany, found that substantial hypoperfusion, particularly in the temporo-basal/temporo-medial region, is regularly present during such a TGA attack. Also observed is a disproportional decrease of temporo-medial oxygen metabolism. In layman’s terms, TGA can be caused by blood circulatory failure from neurogenic shock. The diameter of the blood vessels increases, the heart slows, and the blood pressure falls to the point where the supply of oxygen carried by the blood to the brain is insufficient. The “overwhelming wave” my sister experienced prior to her TGA is what some of us have experienced during moments of acute fear and/or loss of oxygen, just not as severe to impair neurological memory storage. My sister has never had any psychological problems, nor does she have any seizure history. She has been prone to migraine headaches over the years, which is sometimes a variable in the history of those having experienced TGA, but not always. What happens in the brain, and the mechanism that decides to trip such a switch in some, and not others, has us all searching for answers. The human body is a complex and delicate instrument at times. Strange, even bizarre, things can happen to normal functioning under stressful conditions. My sister has never had another incidence of TGA. Thank, God. When my mother died less than two years after my father’s passing, I feared a repeat event. I warned her that if she pulled a TGA and made me go through all that again, I would personally see her buried along with my mother. Just kidding, of course. But she got the picture. It’s good to remember that it’s also quite traumatic for family and friends witnessing someone going through such an event. They feel totally powerless to help. Yet, I have to admit, it’s one of those fascinating experiences most of us could never forget.